I'm constantly observing several key statistics about the game, and trying to draw conclusions from what I see. And one of them is that we are now moving into the stable game world phase that the game was always intended to be. At the same time, peasant population has been holding steady at about one million for even longer, even though more and more soldiers are being recruited (almost 40,000 by now, with thousands more in training). Interestingly, despite the long training times and the current war, the total number of soldiers in the game is still climbing. It'll be interesting to see where the equilibrium is going to be. I have not checked closely, but it seems as if mobilized soldiers do not need food (or only a little). As long as that is the case, I assume that total soldier numbers will continue to rise. That is my experience too, troops under noble control do not seem to eat. This was a known fact in the alpha and lead to the static defence nobles. Thanks for reminding me, I wanted to fix that a long time ago, and I've done it now. Mobile soldiers will correctly consume food now. It won't make much of a difference, though. We only have about 16,000 soldiers mobile and alive, that's 1.6% of the world population. One question: If I send my chars to a hostile estate, I assume my soldiers will consume food from the enemy estate...what happens within (and later outside) that estate? If 500 troops meet at a woodland settlement, will that start to starve rapidly? What happens to the troops outside? How long (roughly) can one gather an army of 500-1000 within one estate without the army starting to starve and losing soldiers? I assume it will become necessary for the lord of one estate (where additional food is being gathered) to travel with the army, arranging a temporary food trade towards the gathering point. Yes, massive armies can cause starvation in regions. Starvation applies as normal to both troops and peasants. This will affect locations where massive armies gather. Keep in mind that camp followers are not yet fully implemented. So if you gather 5000 troops next to a small village, after a few days everyone will start to suffer from hunger. And yes, this makes pseudo-sieges possible - you can starve a city by moving lots of troops into the nearby area. "He whose thread shall not be flamed." I have several inactive or unresponsive people in my region from my own realm who are most likely going to return sooner or later, and have a considerable retinue of troops. However, they are causing starvation in my region, and the only way to avoid that is getting additional trade or decreasing the defences of my settlement troop-wise, which is equally undesirable. Will there be no other way than to attack them to solve the situation? 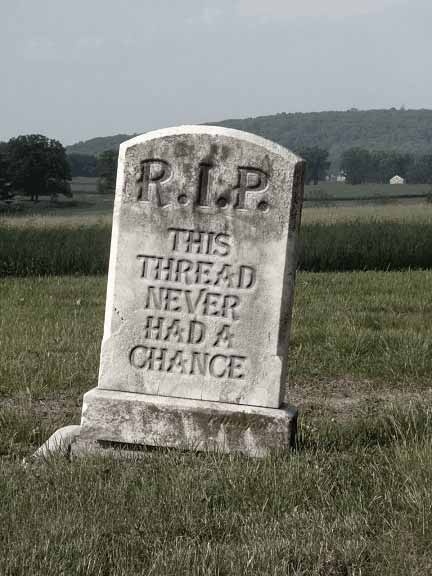 The story of Ascalon's forum threads. Founder of Ascalon, professional whiner, minor storyteller. wht is going on.... one of my towns has gone from + food production, now i just checked and it's -600 !!! Nobody here is telepathic, so you should probably mention at least which settlement. Which other way would you imagine there to be? My Town of Mekaley is no massively in starvation mode. Also my towns of Mitoley and Uhnaxya are starving. Move some troops to outlying settlements - or use them to attack someone. Or ask an ally if it is possible to station some of them in his area. Or ask him for food trades. I don't control the troops that i assume are starving my village. And yeah i am going to have to disperse the troops i currently have gathered up. Still a major change like this shouldn't just be dumped in. While i was offline for a few hours my village went from stable to starvation. Any large-ish concentration of troops within allied lands suddenly need to run a gauntlet of starvation inducing incidents on their way home and be faced with reducing, perhaps even significantly, the population of settlements there at the very least and potentially even breaking the trade agreement balance of the region and as trade currently works until the right nobles travel to the right locations to set up updated deals further populations will starve, that's a pretty significant shock to the gameworld, obviously the system will reach a new equilibrium pretty fast but major military powers in the game will need to come to terms with a lower population of peasants as a result, in the long term the change may be 'minor' but in the short term this is very serious. It's a weakness of the simulation that it assumes villages have 0 food stockpiled, 0 food in their homes and in fact 0 food in their settlement, their lifeline is tied directly and instantly to the 'land'. A moving army, a friendly one at that starts to hunt some deer in the forest, fish a bit in the river and suddenly the region goes into starvation mode over the course of a day. Even a hostile army realistically would need to raid the stores of the main settlement to get at the provisions for such fast and major swings of sustainability, now we can completely bypass all the defenses all the way from the other end of the region even and steal food directly from the dinner table of the peasants. Armies need to feed off the land and affect the food surplus of the region, no doubt about that but this is a can of worms that just popped open. A while ago Rathgar captured the settlement Bearston (#3237) with a population of around 800 and since then some of the troops are still stationed in the region. Before this change the settlement had a surplus of 200 food now it sits at -800. I've canceled all construction just now and could only reduce the starvation to -400. Moving large forces is going to destroy every region they move to, especially if it's a small population region as most tend to be, with this change and with the way the game handles updating the population every turn, that is day, the consequences for the players are going to be pretty ugly. P.S. Just noticed the Bearston settlment is smack in the middle of the region so even if all allied armies started moving directly out of it right now I could lose a significant part of the population before they're out and if they don't respond for a while the settlement is doomed for sure, and if I wasn't online for a while the settlement of 800 people would be reduced to 8 people, that's a bit harsh but ok it would balance eventually.